Roundup is the most widely used herbicide in the world and the second-most used weed killer for home and garden, government and industry, and commerce. It was introduced commercially by Monsanto Company in 1974 and is used by landscapers, farmers, groundskeepers, commercial gardeners and even home gardeners. It has been linked to a type of cancer called non-Hodgkin lymphoma. The primary ingredient in Roundup is glyphosate, a chemical that kills weeds by blocking proteins essential to plant growth. It is easy to use and effective at killing pesky weeds like poison ivy, kudzu, and dandelions. Agriculture use of glyphosate increased sharply since crop seeds were genetically modified to make them resistant to the herbicide. Glyphosate is now used in more than 160 countries with more than 1.4 billion pounds applied each year. About 100 million pounds are used on U.S. farms and lawns annually, according to the Environmental Protection Agency (EPA). Monsanto introduced Roundup in 1974. There are now dozens of varieties of Roundup including Roundup Ready-to-Use, Roundup for Lawns, and Roundup Max Control. There are also several other brands and generics that sell glyphosate products. Roundup continues to hold the largest share of the market, though generic competition is closing in. In 2015, Monsanto made nearly $4.76 billion in sales and $1.9 billion in gross profits from its herbicide products, in particular Roundup. In June, Bayer successfully completed the acquisition of Monsanto, making Bayer the sole owner of Monsanto Company. The integration of Monsanto into Bayer is expected to take place by the end of August 2018, following approval from the United States Department of Justice and the completion of divestments to BASF. In March 2015, the World Health Organization’s specialized cancer agency, the International Agency for Research on Cancer (IARC) listed glyphosate as “probably carcinogenic to humans,” and pointed to evidence of non-Hodgkin lymphoma from human exposure to glyphosate, mostly from agricultural means, in the United States, Canada and Sweden since 2001. Non-Hodgkin lymphoma (NHL) is a type of cancer that starts in white blood cells called lymphocytes, which are part of the body’s immune system. If left untreated, non-Hodgkin lymphoma can spread to other parts of the lymph system. Eventually, the disease can spread to other parts of the body, including the liver, brain or bone marrow. Limited regulation of research on the effects of glyphosate on humans in the U.S. has also limited the available data. But a study published in 2003 in the journal Occupational & Environmental Medicine involving more than 3,400 Midwest farm workers found that workers exposed to glyphosate had higher rates of non-Hodgkin lymphoma. Studies involving laboratory animals have suggested that glyphosate has the potential to be carcinogenic. Studies suggest that glyphosate can also have non-cancerous effects including developmental and reproductive problems including abnormal fetal development, low birth weights, and miscarriages. Other health risks associated with glyphosate exposure include liver and kidney damage. Some countries have banned use of the herbicide due to health concerns. 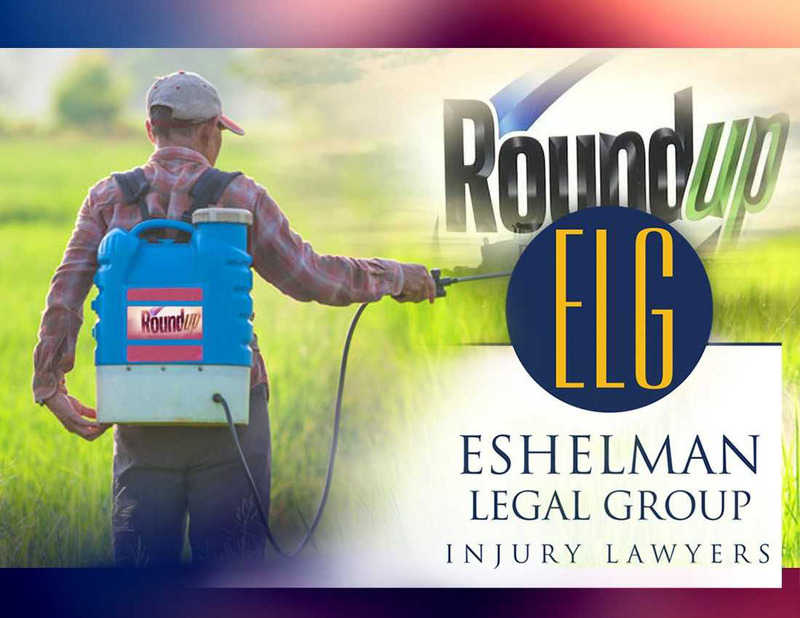 The U.S. Environmental Protection Agency (EPA) is currently reviewing glyphosate to determine its status as a carcinogen and to determine if glyphosate products like Roundup warranted a “probable human carcinogen” on their labels. In 2016, dozens of Roundup lawsuits filed against Monsanto were consolidated into a multi-district litigation (MDL) in the United States District Court for the Northern District of California. The cases were filed by farmers and landscapers (and their families) against Monsanto claim that their glyphosate exposure contributed to the development of non-Hodgkins lymphoma. There are now more than 400 cases pending in the Roundup MDL. In July 2018, U.S. District Judge Vince Chhabria ruled that there was sufficient evidence for a jury to hear the cases in the Roundup MDL. Monsanto faces another 5,000 lawsuits nationwide alleging Roundup caused cancer. Most of those cases are in state courts. If you or a loved one have been exposed to Glyphosate and have suffered because of this exposure, you may be entitled to compensation. Please contact our law firm to see how we can help you. Call 1-800-365-0001 for your free no obligation consultation consultation. "We'll Make Things Right".